Do you hear it happening? Do you hear the emerging discontent within the infrastructure that, up-until-now, Big Pharma was capable of preventing from happening around their ‘sacred cows’—vaccines and pharmaceuticals, aka legal drugs? How many prescription drugs are senior citizens prescribed and how many vaccines do infants receive in their first year of life? All are destined to become legal ‘druggies’ from the beginning to the end of their lives. 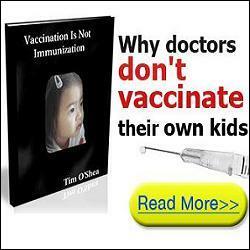 If you are not aware, some within medicine and the pharmaceutical industry are coming out of the closet about vaccines. They are becoming conscious struck, and thankfully so. It seems the children’s story with the Emperor’s New Clothes story line is just too much for many, who know factual science and medicine, to keep swallowing like the Kool Aid Jim Jones mandated his followers take—even to their deaths. Personally, this author applauds those who come forth with information that will enlighten a heretofore misled healthcare consumer due to Big Pharma’s influence in media and government because of its tremendous wealth. As the old adage goes, “Money can buy anything” apparently applies. Money can buy congressional votes, media exposure and, inadvertently or purposefully, mislead consumers and parents who believe the ‘Kool Aid-type’ mandates regarding pharmacological products, e.g., prescription drugs—just listen to radio and TV ads—and vaccine/vaccination ads! Such advertisements should be banned just like tobacco and alcohol ads, I suggest. Why should consumers be telling their doctors what to prescribe? What do you think is the ‘top killer’ in the USA? Tobacco with 529,000 deaths followed in third place by alcohol abuse deaths totaling 107,400? Are you inquisitive as to the number two killer in the USA? It’s medical errors with 118,021 deaths. With all the talk about gun violence, no one seems to want to take a look at the violence that is being perpetrated in the name of science—pseudo science often—with fraudulent studies promoting cancer research favorably, pharmaceutical drugs that have to be recalled, and vaccines like they are a gold standard of health when, in reality, they contribute to many of society’s ills, in this author’s opinion. Did you know that the Annals of Oncology recently published a study that shows frequent bias in published breast cancer trials? That 67% of the 164 phase III trial data showed bias in reporting toxicity rates for trials published between 1995 and 2011? Children commit heinous crimes often while taking psychotropic prescription drugs or when coming off them. More and more children are being diagnosed as bipolar so, eventually, they will become lifelong drug customers and legal drug addicts at the prescription-writing hands of psychiatrists, who really can’t prove psychiatry scientifically via standard medical testing. Furthermore, Dr. Christie went on to say that he has never been vaccinated against the flu. What does he know that he’s not telling? Kudos to you, Dr. Christie, for having the courage to speak out. Please continue. Then there’s this dramatically disturbing, but important information, about disease maintenance and management. Former pharmaceutical representative Gwen Olsen, who was in the industry for fifteen years but left in 2000, divulges insider information and discloses it in her stunning book, Confessions of an Rx Drug Pusher, available on Amazon.com. Gwen speaks her conscience on this video, which truly is remarkable and refreshing to consumer health advocates, as we are aware of the shenanigans that apparently go on. 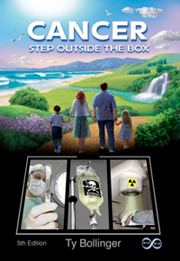 There’s nothing like “been there, done that” to authenticate Big Pharma’s culture about what they do or do not salute. Finding cures truly would not be cost effective to their corporate bottom lines. How long has the “War on Cancer” been going on? Since President Nixon inaugurated it in 1971. Olsen comes down hard on psychotropic drugs, and rightfully so, I think. She reveals the facts about cholesterol-lowering drugs causing other disease states as a consequence of taking them. Stunningly, she says, “…many drugs are not more efficacious than a sugar pill.” Whooooah! Plus reassuring us that antidepressants are no more effective than a placebo or sugar pill. Ding it! So why take them? These claims against vaccine manufacturers cannot normally be filed in state or federal civil courts, but instead must be heard in the Court of Claims, sitting without a jury. Prime Minister of the African country Chad visiting 40 children paralyzed by the meningitis vaccine. November 29, 2012 the U.S. House of Representatives Committee on Oversight & Government Reform, chaired by Congressman Darrell Issa, held a hearing on Autism and vaccines, streamed live by C-SPAN, which I watched in its entirety. Several congresspersons came down hard on the two federal health agency representatives, and rightfully so, in my opinion. Why do I say that? Well, I think some members of Congress finally are realizing they have been snookered about vaccines and Big Pharma’s lobbying influences on Capitol Hill. With fiscal cliffs looming and budget problems, Congress may be wondering just how much money is appropriated and spent to purchase vaccines that often go out of date; that’s when they probably are shipped to third world countries for distribution. Now, what should happen is for another round of hearings to go forward in the new 113th Congress. Those hearings, however, may depend upon how much money Big Pharma will spend to prevent such hearings from taking place. Nevertheless, I have hope that more and more conscience-struck professionals will come forward and tell what they know to Congress, the media and press who finally must listen and publish, and the peer-pressured medical profession, who really should know better. The time has come; so be it! Catherine J Frompovich (website) is a retired natural nutritionist who earned advanced degrees in Nutrition and Holistic Health Sciences, Certification in Orthomolecular Theory and Practice plus Paralegal Studies. Be the first to comment on "Blows Against Big Pharma and Its Vaccine Culture Fortress"